In collaboration with Washington State Department of Transportation, Seattle Parks and Recreation will be winterizing the irrigation line from the Foster Island Bridge to the Washington Park Arboretum maintenance building along Foster Island Road. This work will aid in plant establishment underneath the new 520 bridge by allowing year-round irrigation. The work involves installing an electrical line in the same trench as the existing water line to prevent the water line from freezing in the winter. Construction will require temporary closures for the north entry of Broadmoor at Foster Island Road, the Washington Park Arboretum maintenance parking lot, and the trail at the Foster Island Bridge. Construction is anticipated to last approximately three weeks and will begin Monday, October 1, 2018 at the Arboretum maintenance parking lot. The Arboretum maintenance parking lot will be closed October 4 through 8. The north entry of Broadmoor will be narrowed to one lane October 8 through 12, and the work on the trail is scheduled from October 15 through October 19. We apologize for the inconvenience and appreciate your patience. 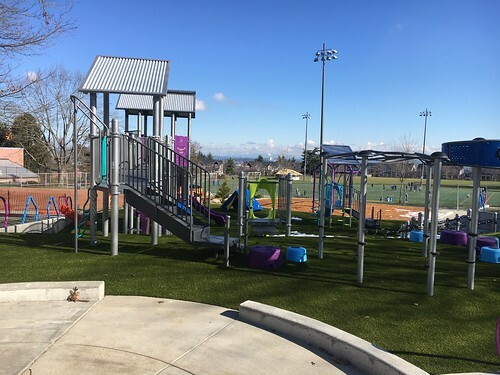 For more information on the project please contact Katie Bang, Seattle Parks and Recreation, at 206-684-9286 or katie.bang@seattle.gov. The Arboretum will remain free and open to the public throughout construction. Safety for visitors, contractors, volunteers and staff is the top priority during construction of the Arboretum Loop Trail. We may temporarily close or reroute some trails when work is taking place nearby. To receive meeting notification and construction updates please visit LoopTrail.seattle.gov. In June 2013, City Council approved $7.8 million from WSDOT to fund the implementation of the Arboretum Loop Trail. The project, originally outlined in the Arboretum’s 2001 Master Plan, is part of the required mitigation for the replacement of the SR 520 Bridge. It fulfills the Master Plan’s three primary goals: conservation, recreation and education. It will also improve safety for pedestrians and bicyclists visiting the Arboretum. Additionally, the project restores portions of Arboretum Creek and nearby wetlands. Construction is scheduled to be completed in December 2017. For more information about the project visit: LoopTrail.seattle.gov. If you have questions email looptrail@seattle.gov or contact project manager Garrett Farrell at garrett.farrell@seattle.gov or 233-7921. Seattle Parks and Recreation invites the community to a public meeting for the Washington Park Arboretum Multi-use Trail. This community update will be held on Wednesday, Jan. 28, 2015 from 6:30 – 7:45 p.m. at the Arboretum’s Graham Visitors Center, 2300 Arboretum Dr. E.
Just in time for the peak of fall colors, Seattle Parks and Recreation, the University of Washington Botanic Gardens and the Arboretum Foundation have unveiled a major new installation of way-finding signs and two new trails with a wealth of informational and educational signage at the Washington Park Arboretum. More than 30 new signs are spread across the Arboretum. In park visitor surveys the most common suggestion was the need for better information and more interpretation. The University of Washington has also printed new trail maps that are available at the Graham Visitors Center, and online at http://depts.washington.edu/uwbg/docs/TrailMap.pdf. “We were very sensitive to honoring the fact that any changes or improvements to the 230-acre Arboretum required great care and attention. That’s why so much time was given to designing and placing the new signage, and making it as unobtrusive yet, as accessible as possible,” Sheffer explained. “We believe we addressed that in a thoughtful and careful manner,” Reichard explained. The Washington Park Arboretum is a hidden gem on the shores of Lake Washington. Jointly managed by the UW and the Seattle Parks and Recreation, its 230 acres are a dynamic assortment of plants found nowhere else. The Graham Visitors Center has an information desk and gift shop managed by the Arboretum Foundation. The Japanese Garden, located at the south end of the Arboretum has an entrance fee, and is managed by Seattle Parks and Recreation. For more information, please contact Andy Sheffer, Seattle Parks and Recreation, at (206) 684-7041 or andy.sheffer@seattle.gov; or Sarah Reichard PhD, UW Botanical Gardens, at (206) 616-5020 reichard@uw.edu. The Washington Park Arboretum will receive $7.8 million as the result of a collaborative effort between the Washington State Department of Transportation (WSDOT) and the Arboretum and Botanical Garden Committee (ABGC). This agreement ensures the implementation of key projects in the Arboretum’s Master Plan as required mitigation for the effects of the upcoming replacement of the SR 520 Bridge. The ABGC advises the University of Washington, City of Seattle and The Arboretum Foundation on the management and stewardship of the Washington Park Arboretum for the benefit of current and future generations. In addition to the SR 520 Eastside improvements and the floating bridge, WSDOT currently has funding to construct the West Approach Bridge North, connecting the westbound lanes from the new floating bridge to Montlake in Seattle. Construction of the West Approach Bridge North will begin in summer 2014. The current 520 bridge structure in the Arboretum will stay in place to connect the eastbound lanes between Montlake and the floating bridge until funding is secured for the West Approach Bridge South. Together, the north and south halves of the West Approach Bridge will provide three westbound and three eastbound lanes connecting the floating bridge and Montlake. Under the terms of the new agreement, WSDOT will pay Seattle Parks and Recreation $7.8 million by the end of February to cover the costs of a first phase of mitigation projects in the Arboretum, tied to the recent funding secured to build the West Approach Bridge North. These projects include the design and construction of a 1.0 mile multi-use trail, as well as improvements to Azalea Way Pond, parts of Arboretum Creek, and Foster Island. The design of the trail will begin this year. Construction will start as early as summer 2014, pending WSDOT’s execution of the construction contract for West Approach Bridge North. The multi-use trail is a major component of the Arboretum Master Plan, adopted in 2001. It will provide an important bicycle and pedestrian corridor connecting East Madison Street to the Montlake and University of Washington neighborhoods. Casual bicyclists will no longer have to face the hazards of car traffic on Lake Washington Boulevard to ride through the Arboretum. The new trail will also eventually link to Arboretum Drive East, forming a 2.0-mile interior bicycle-and-pedestrian “loop” in the Arboretum—a tremendous asset to Arboretum users and visitors. In addition to the mitigation projects covered by the $7.8 million, the agreement between WSDOT and ABGC creates a contractual framework for a final phase of mitigation that will take place in the Arboretum once funding is secured for the construction of West Approach Bridge South. 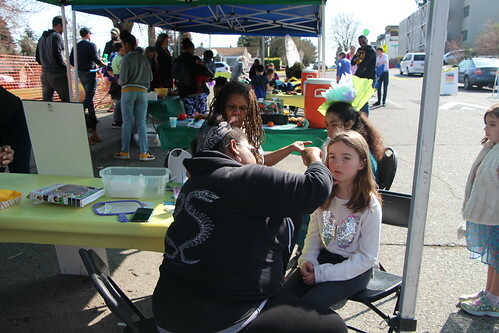 These projects include the process to transfer the WSDOT Peninsula to the Arboretum, shoreline restoration, the creation of a new North Entry to the Arboretum, a new roundabout at Foster Island Road and Lake Washington Blvd, and daylighting and restoration of sections of Arboretum Creek. “Completing this agreement is a major milestone towards resolving the anticipated I-5 to Medina Project effects in the Arboretum,” says Julie Meredith, WSDOT 520 Bridge Program Director. “This is a win for all parties involved—it is crucial for moving the West Approach Bridge North forward and allows WSDOT to meet our mitigation requirements while providing real benefits to the Arboretum.” Meredith also explained that the mitigation planning was directed by Engrossed Substitute Senate Bill 6392 in 2010, and thanked all the parties for helping WSDOT meet the legislative requirements to develop an appropriate mitigation plan for the Arboretum. Agreement Timeline and Design Schematics: A detailed timeline of key events leading up to the signing of the mitigation agreement is posted on the Arboretum Projects page of the Seattle Parks and Recreation website: http://www.seattle.gov/parks/projects/arboretum/. Preliminary design schematics for the Multi-Use Trail and North Entry projects, prepared by the Berger Partnership, can also be downloaded from this page. To read a copy of the Arboretum Master Plan, visit http://www.seattle.gov/parks/arboretum/arboPlanindex.htm. Arboretum and Botanical Garden Committee: ABGC is comprised of representatives from the Arboretum Foundation, University of Washington Botanic Gardens, and Seattle Parks and Recreation, as well as appointees from the City of Seattle and State of Washington. For more information, visit http://depts.washington.edu/wpa/abgc/. WSDOT’s SR 520 Bridge Replacement and HOV Program page: http://www.wsdot.wa.gov/projects/sr520bridge/default.aspx. Seattle Parks and Recreation, the University of Washington Botanic Gardens, and the Arboretum Foundation are hosting a public meeting to discuss the future design for the north entry to the Arboretum and a multi-use trail through the Arboretum on Wednesday, June 8, 2011 from 6:30 – 8 p.m. at the Graham Visitor Center, 2300 Arboretum Dr. E.
This project provides scoping and conceptual design for a redeveloped north entry to the Washington Park Arboretum and a multi-use trail from the intersection of E Madison St. to the North Entry and the Montlake and University neighborhoods beyond. The scope will reflect the vision of the 2001 Master plan entitled “Renewing the Washington Park Arboretum”. A more graceful north park entry that clearly announces arrival into the Arboretum should provide safety and flow for pedestrians, cyclists, and motorists. Funding is provided by the Parks and Green Spaces Levy. Seattle voters passed the Parks and Green Spaces Levy by a 59% vote in November 2008. 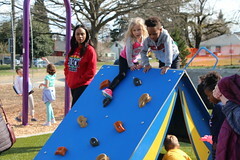 For more information on the Arboretum Master Plan, please see http://www.seattle.gov/parks/arboretum/arboPlanindex.htm. On the UW Botanic Gardens: http://depts.washington.edu/uwbg/. And on the Arboretum Foundation: http://www.arboretumfoundation.org/. 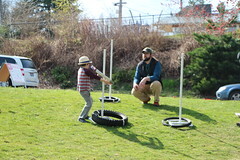 For more information, please email Andy Sheffer, Project Manager, at Andy.Sheffer@seattle.gov, call him at 206-684-7041, or visit http://seattle.gov/parks/projects/arboretum/. The Seattle Board of Park Commissioners will hold its next meeting at 7 p.m. Thursday, May 26 in the Park Board Room at 100 Dexter Ave. N at the corner of Dexter and Denny. Summit Slope Park Skatedot discussion and recommendation to the Superintendent. 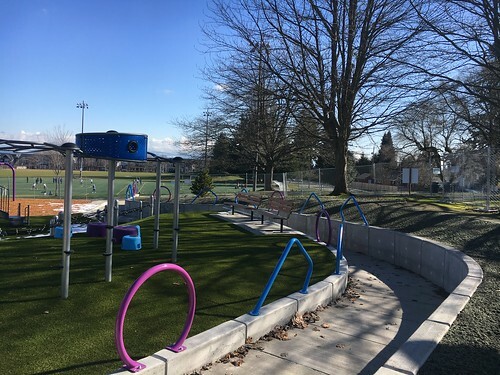 The Board will discuss and make a recommendation to the Superintendent on issues relating to the “skatedot” at the new Summit Slope Park on Capitol Hill. A skatedot is defined as “integrated skateable terrain (that) can be seamlessly integrated into small neighborhood parks and throughout the city by identifying existing spaces that already are or could be used for skating. These elements are small, up to 1,500 square feet.” The Board heard a briefing and held a public hearing on the issue at its May 12 meeting. Washington Park Arboretum update briefing. Parks staff will bring the Board up to date on the implementation of the Arboretum Master Plan and on the SR520 mitigation plan. 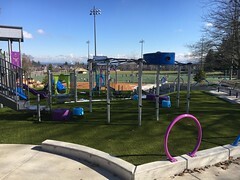 The Summit Slope skatepark briefing paper is available online, and the Arboretum update briefing paper will be available online by close of business on Thursday, May 19. http://www.seattle.gov/parks/parkboard. The Seattle Board of Park Commissioners is a seven-member citizen board created by the City Charter. Three members are appointed by the Mayor and confirmed by the City Council; three members are appointed by the City Council; and one member is appointed by the Park Board. 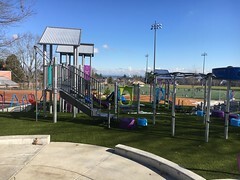 The Board meets the second and fourth Thursday of each month to advise the Parks and Recreation Superintendent, the Mayor, and the City Council on parks and recreation matters. For more information, please call Sandy Brooks at 206-684-5066 or email her at sandy.brooks@seattle.gov.